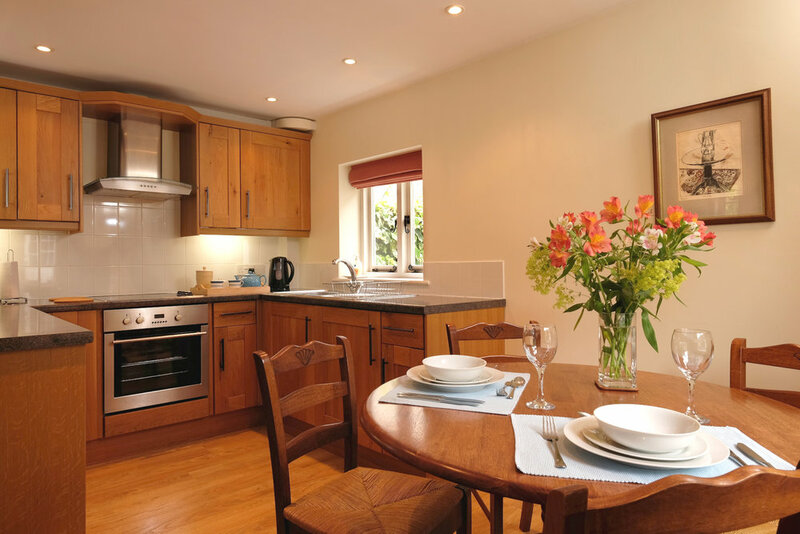 Downstairs is a spacious open plan oak-beamed living area and well equipped kitchen. 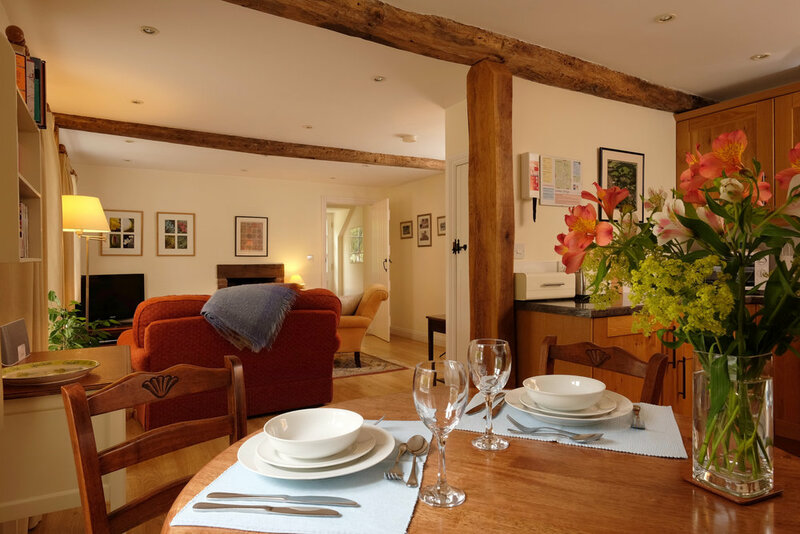 Warm and cosy in the winter, cool and calming in the summer, the cottage is a welcoming haven year round. After a winter walk - snuggle into the sofa with a cup of tea and watch the numerous small birds feeding; nuthatches, chaffinches and woodpeckers are all frequent visitors, or in warm weather open the door to the garden and enjoy the birdsong. For those who like to explore there is a plentiful array of visitor information to inspire or for relaxing times in the cottage there is a selection of books, puzzles and DVD player. The stairs lead to a landing/dressing area, cosy bathroom and the bedroom with a king size bed and a leafy view across pretty adjoining gardens. 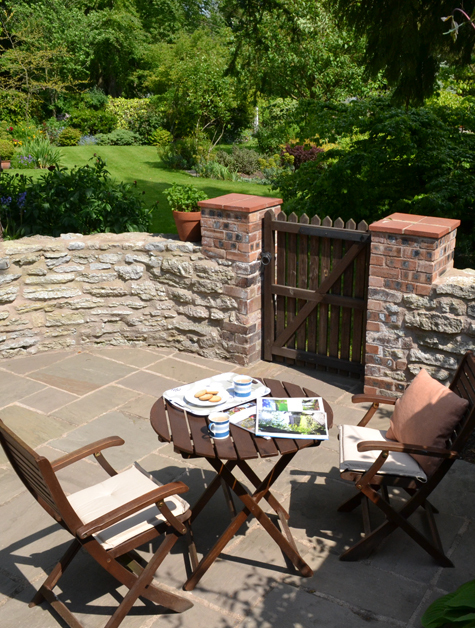 Outside there is a sheltered and private courtyard garden with a lovely garden view where you can relax in the fresh air and enjoy a leisurely cup of tea or glass of wine.